Lower belts Speed. Wider belts. Smoother conveyoing. Gentle placement of the birds inside the containers. All resulted in better load quality with no compromises on loading speed. Birds are loaded in a natural, stress-free manner, gently deposited into the drawers, with no direct contact from operators. The design has been optimized according to EHEDG (the European Hygienic Engineering and Design Group) guidelines. All components that come into contact with the birds are made out of either stainless steel or galvanized metal. Cages never come into contact with the litter. From 8,000 to 12,000 animals per hour, or approximately 16-26 tonnes per hour. Easy to maneuver. Significant reduction in physical labour. Specifically designed to facilitate easy, quick and effective daily cleaning with only water and disinfectant with no compromises on biosecurity. Requires only 3-4 operators.Simple controls. Stable rubber tracks.Automatically loads birds to operator’s preset weight limit. Loads any type of cage including Stork, Linco, Anglia, Meyn, or customized cages. Clear and simple user manual, with explicit maintenance program outlined. Manual includes specific component breakdowns with diagrams of all parts. Easy access to core parts of the machine. All the answers for your questions. IS APOLLO GENERATION 2 A QUALITY PRODUCT? Most definitely. Apollo Generation 2 adheres to the strictest quality standards imposed by the leading food sector companies across the world. WHICH TYPES OF CONTAINERS CAN I USE? Any type. Apollo Generation 2 uses the most common containers available on the market - including Stork GP, Meyn, Linco, Anglia - but can also take cages constructed on site. Different types of containers can even be used during the same loading session: a simple computer command is all it takes. WHAT HAPPENS IF MY POULTRY SHED HAS PILLARS INSIDE? Thanks to the front-loading system, Apollo Generation 2 can easily move along different corridors. WHAT IF IT gets very cold or VERY HOT? Apollo Generation 2 works very well between temperatures of -40° C (-40° F) and +50° C (122° F). AND IN TERMS OF CLEANING? 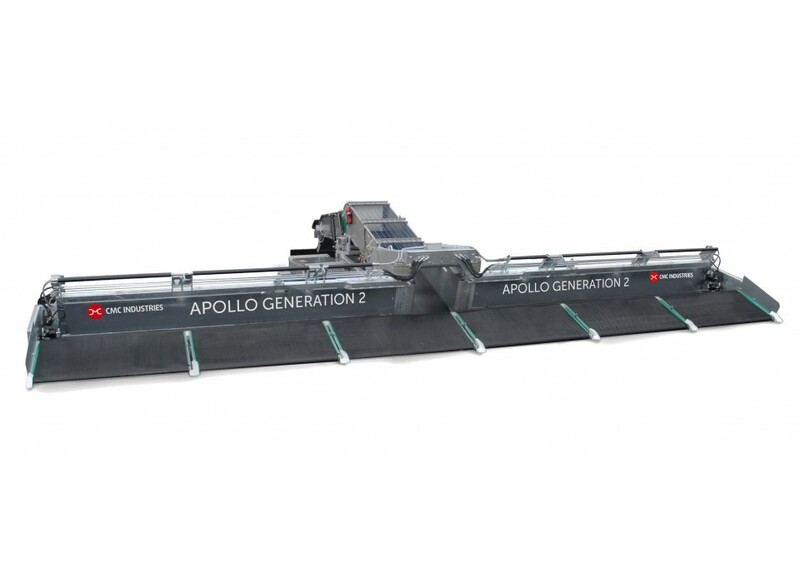 Apollo Generation 2 has a fully galvanised body and its main components are made from stainless steel, making the machine very easy to wash and disinfect. All of this leads to a significant increase in Biosecurity.